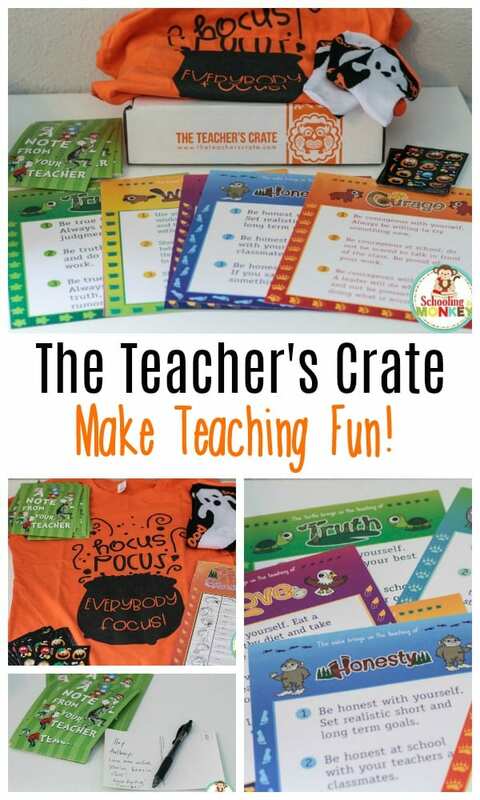 Have Fun Teaching: Try The Teacher's Crate! Have Fun Teaching: Try The Teacher’s Crate! 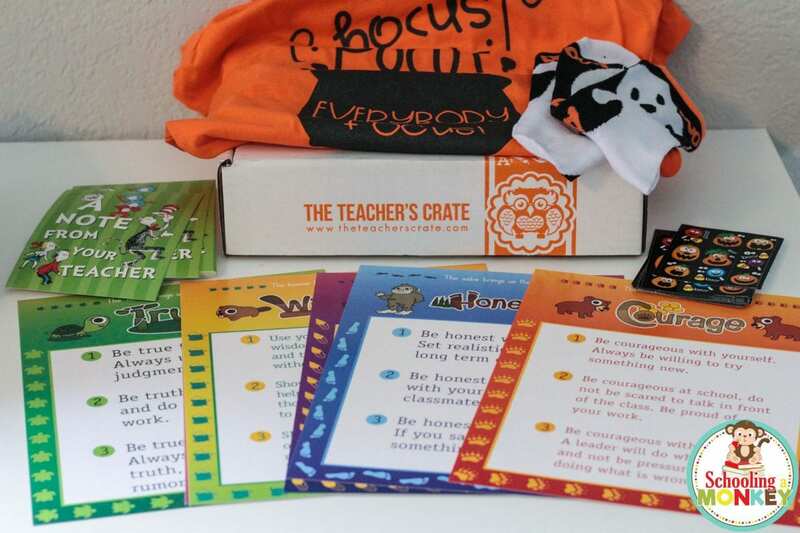 This post is sponsored by The Teacher’s Crate, a monthly subscription box just for teachers! All opinions are my own. I love subscription boxes. I’ve tried subscription boxes for food, socks, toys, makeup, books, and geeky objects. You could say I‘m a bit of a box addict. I’ve always thought there should be a subscription box for teachers. There are so many fun teaching resources, but I often don’t try any of them because I don’t know where to find new ones, or you have to buy so much at once that the cost is prohibitive. So, when I stumbled across The Teachers Crate, I knew I had to try this fun box. It definitely did not disappoint! We received the October box, and it is full of Halloweeny goodness, plus some evergreen stuff I can use all year round. The Halloween stuff was super cute. 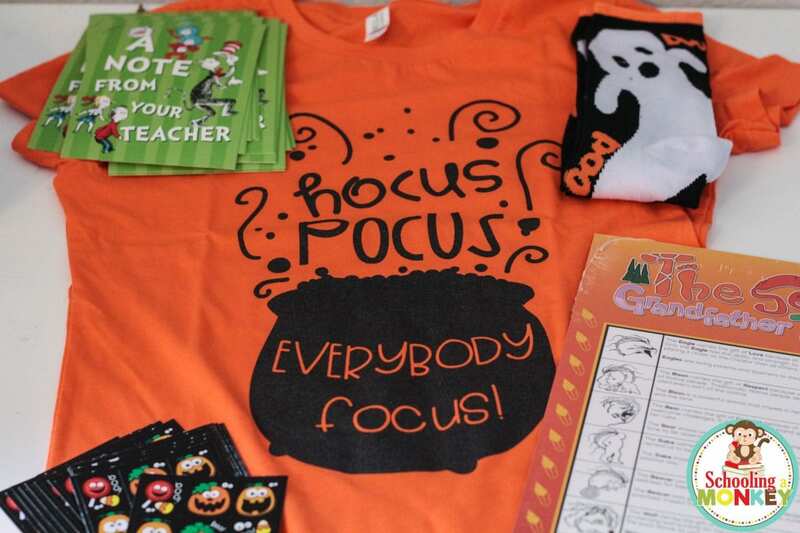 I loved that the shirt says “Hocus, pocus, everybody focus.” I will still wear the shirt even beyond Halloween, because it’s adorable. Socks are always fun and I’m always losing mine. Stickers- I LOVE stickers. You can never have too many. The teacher notes I loved. 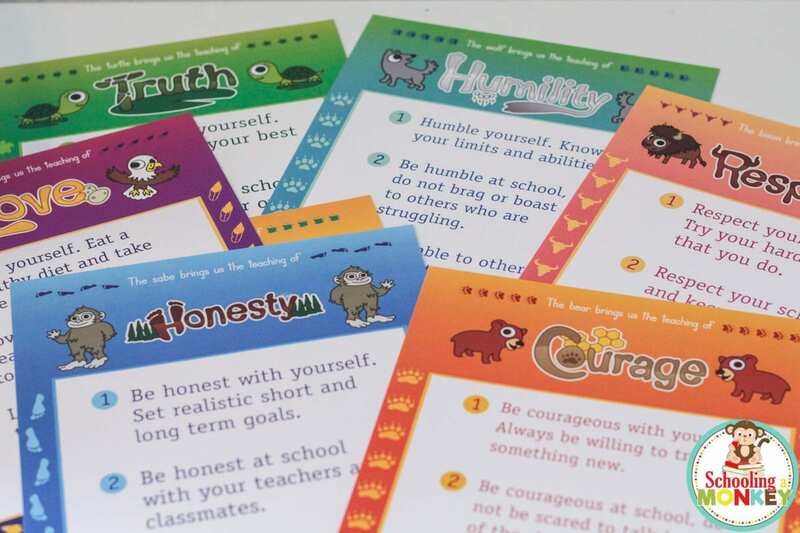 I can see using these to send to children who are absent from school, or to send along after school as an encouraging note. The character posters were a nice surprise. I didn’t expect something of that quality in a subscription box! They are almost a curriculum in of themselves. I loved the bright colors. 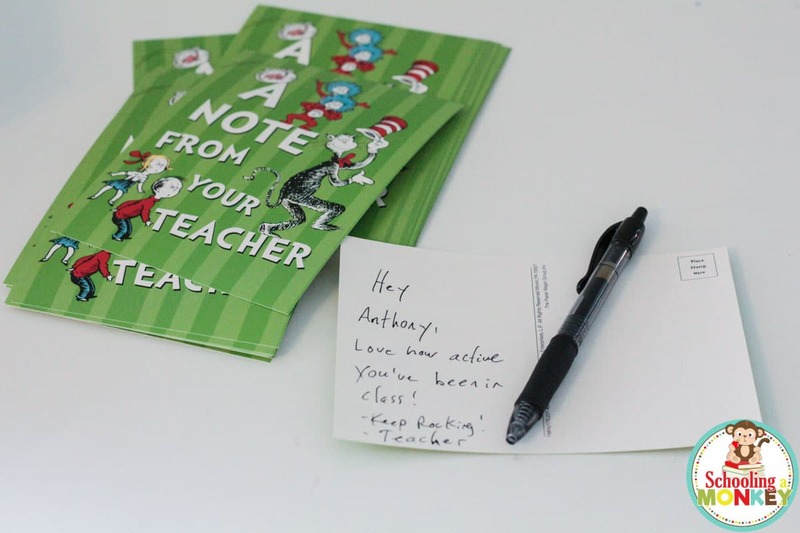 These subscriptions make wonderful birthday, Christmas, and even teacher appreciation gifts! Get one here!